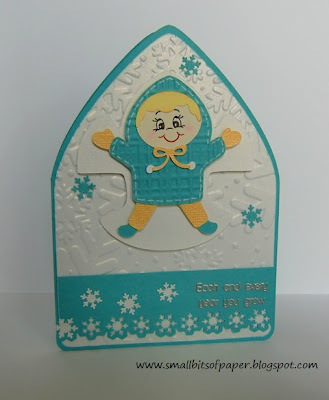 Monday Challenge #18 - Emboss it! Yay! It's Monday and time for another Monday Challenge! This weeks Challenge: Emboss it! 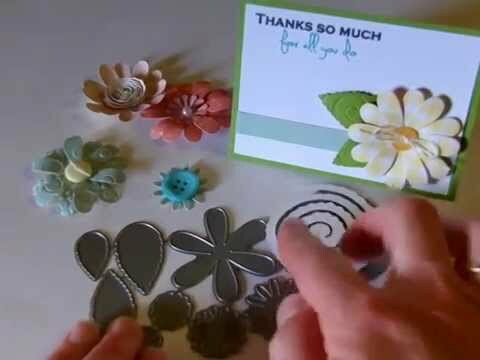 I love all of the shiny embossing on Kate's cute shape card! Isn't the little girl just adorable?!?! I love how Amber embossed each layer with a different embossing folder! Wow! I love the beautiful colors Joy used! It has such a pretty, vintage feel! 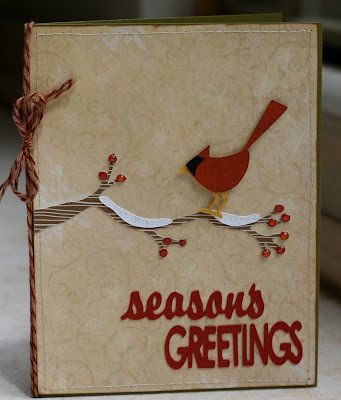 I so much enjoyed looking at all of your Christmas projects - thanks for joining the fun! I love this video! It is filled with people from all over the world testifying that there is a God and that he loves us! Click HERE to view this great video. 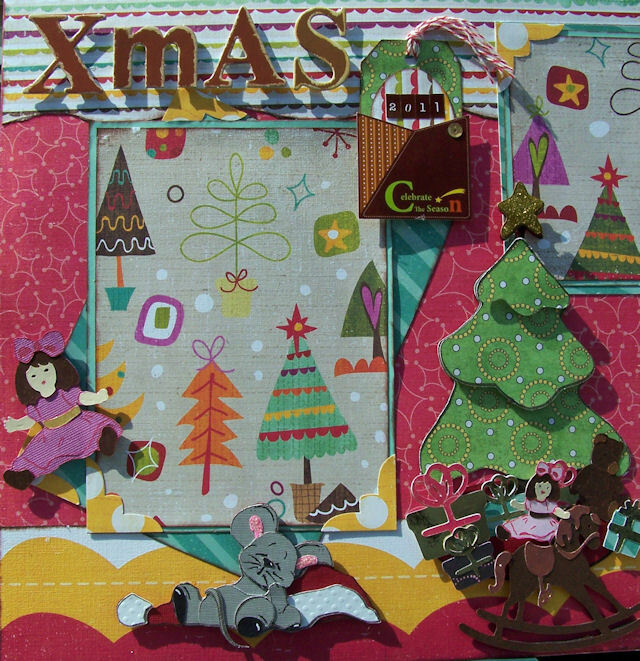 Christmas is one of my favorite holidays to make things for - cards, scrapbook pages, gifts!! How fun that in scrapbooking/cardmaking world we can make Christmas things year round! Click HERE to enter the Christmas in July challenge! I cut the card base at 5.5 inches from the birthday bash cartridge. The sweet gingerbread couple is cut at 7.43 inches from the Paper Doll Dressups cartridge. 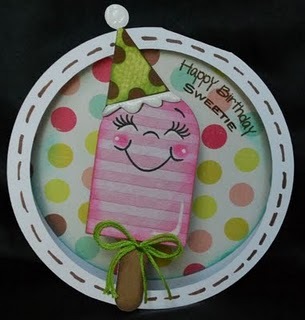 I used Peachy Keen stamps for the face, coloring in the eyes with a white gel pen, and covering with glossy accents. The circles and wavy decorations on the gingerbread couple come from Just Because Cards and were cut at 6 inches. (They go with different gingerbread cuts) For the dress, I just cut a second gingerbread lady and hand trimmed the dress. 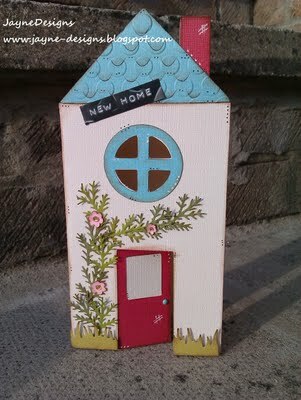 I used decorative edge scissors along the bottom. 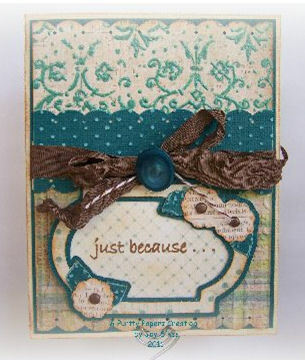 The stamped sentiment is from Sweet Sentiments #1 and is one of my favorites! I used Vintage Cherry Bakers Twine to tie the tag on and for the sweet bow on the gingerbread lady. I inked everything with tea dye and walnut distress inks. I used dimensional squares to pop everything up off the card base. Monday Challenge #17 - Christmas in July! 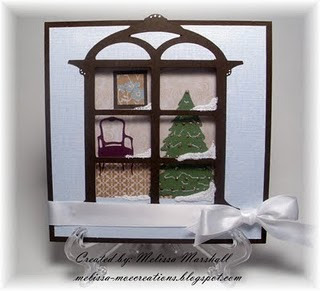 This weeks Challenge: Christmas in July! I love how the fun Christmas tree just pops off Amy's cute tags!! 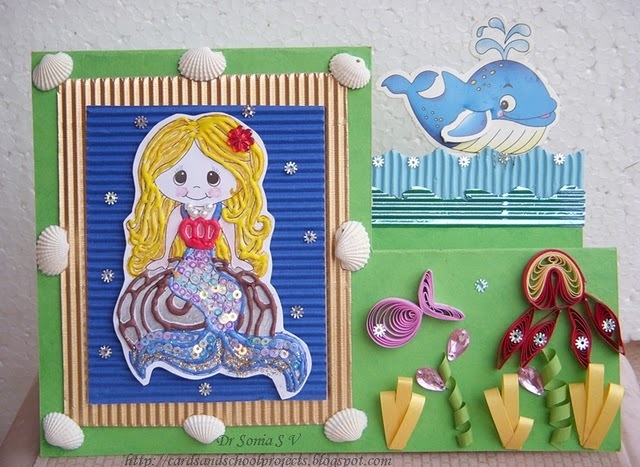 Ally's card is just beautiful!! The vintage twine adds a nice touch! I love all of the fun details and great papers Jenny used - what a cute layout!! 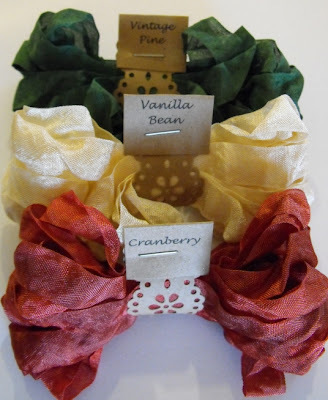 Your choice - one set of Crinkle Ribbon! It always amazes me how much of an influence mom's can have on their daughters. My mom is such an important part of my life and I enjoy having 3 daughters of my own! In this sweet video, 5 young women in Canada talk about their special relationship with their moms. Hope you enjoy it as much as I did! This video was produced by the Church of Jesus Christ of Latter Day Saints. Just wanted to let you know that Gwen over at This and That is giving away a cricut cartridge to one lucky follower! Check out this bride and groom set she made to put on the table for her son's wedding luncheon! 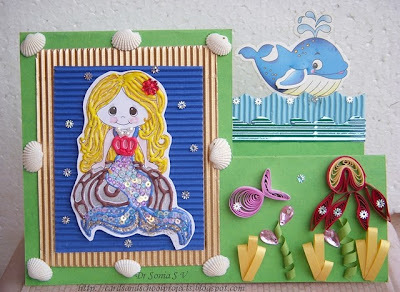 I love the fun papers Gwen used on her mushroom card! 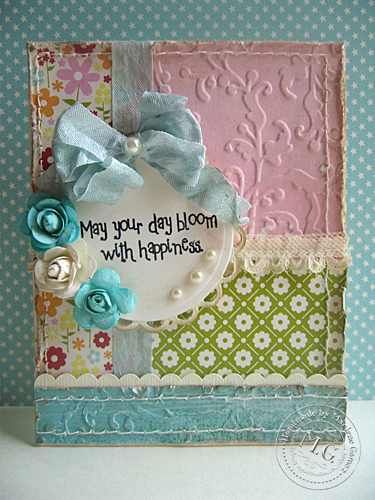 The inked butterfly and the stamped grass in the background makes this card so pretty! Gwen's little girl made this cute card! How great is that?!?! Hope you enjoyed this little spotlight! 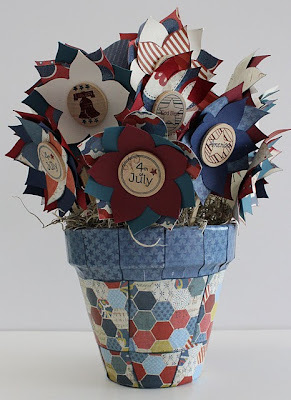 Now go enter Gwen's giveaway and have a great time exploring her new blog! Pillow Boxes - fun and easy! Hello my crafty friends! I have something fun, but super simple for you today! I love the Wrap It Up cartridge and tried a pillow box for the first time. I was surprised at how fast it went together. This would be perfect if you had to make a lot of little bundles of goodness to give away quickly! Scroll down to the bottom for a video showing how I made these! I cut the red pillow box at 9 inches. I used Black Diamond Crinkle Ribbon and tied a double bow (see video). 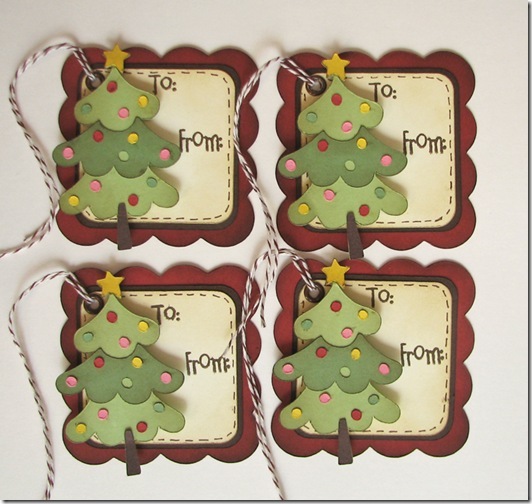 These would be so great for teacher gifts, Halloween, special treats for friends, Christmas . . . I think I am going to cut a bunch of these from patterned cardstock just to have ready to go when I need a quick treat box to give to someone! They store flat! Monday Challenge #16 - Ink it up! I hope you are having a wonderful summer! It's time for another Monday Challenge! I added a button to the top left side bar that you can click on to be taken to the current challenge each week! Yay! This weeks Challenge: Ink it up! The inking on all of their projects adds the perfect finishing touch! 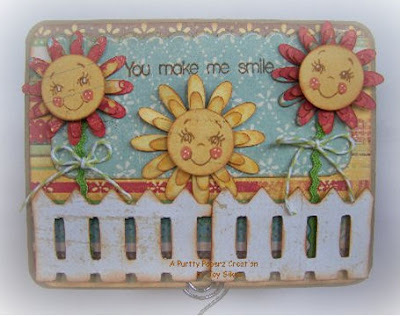 I just love the fun faces Joy has added to her flowers and the sweet picket fence adds the perfect touch to her adorable card!! Isn't Marlene's card just gorgeous?!?! She inked the flowers with glimmer mist and distressed and inked all of her edges. 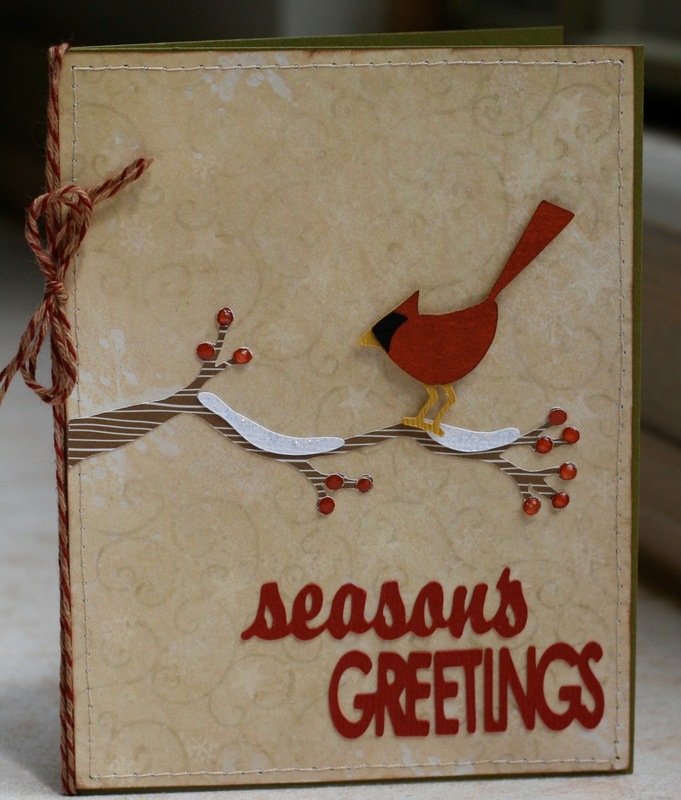 She even inked her embossing folder before embossing the paper to add a little white. 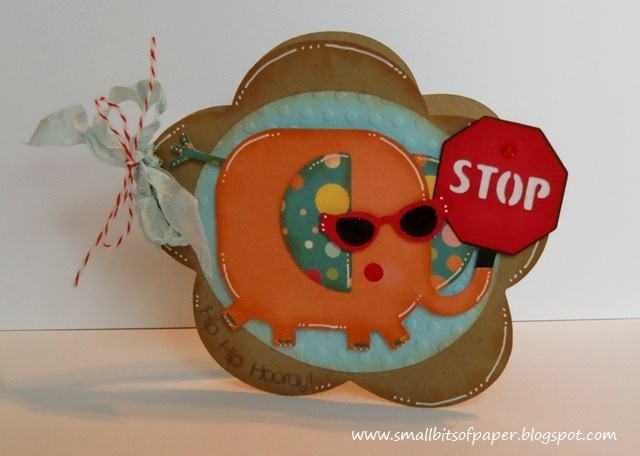 Kate made this cute card for her son's crossing guard! She makes a fun card each year with a stop sign for her - how cool is that!?! 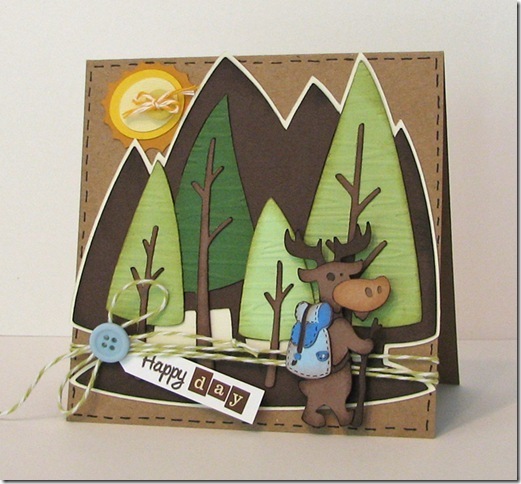 I love all of the stamping Amber did on her layout - the grass in the background is fantastic! These are some of my favorite inks! You can purchase them here. Congratulations # 7 - Adrian! I love the scene Amy created with these cute cuts and the fun ways she used the twine! 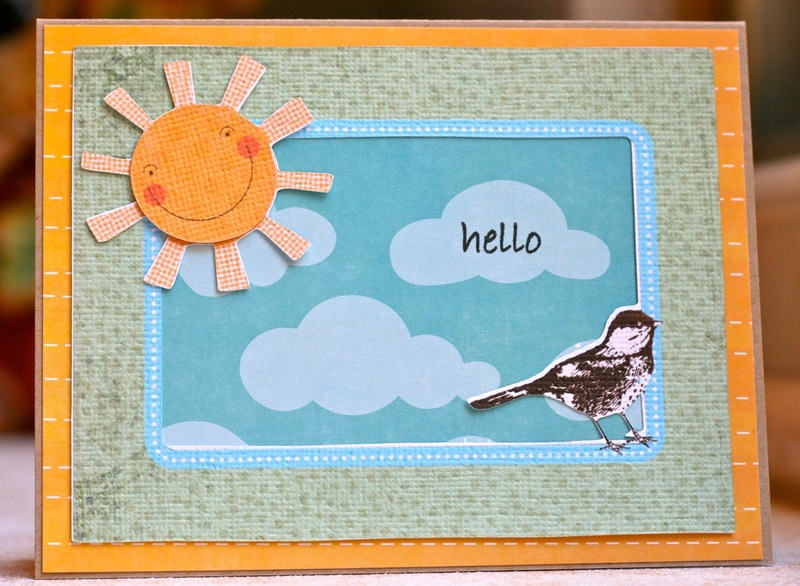 Don't you just love all of the fun details on Jenny's cute layout?!?! 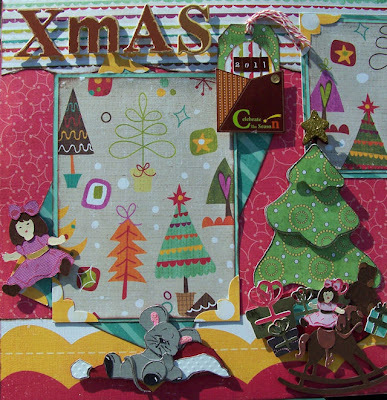 I love all of the fun papers Ally used on her card - can you tell she got a new imagine?! 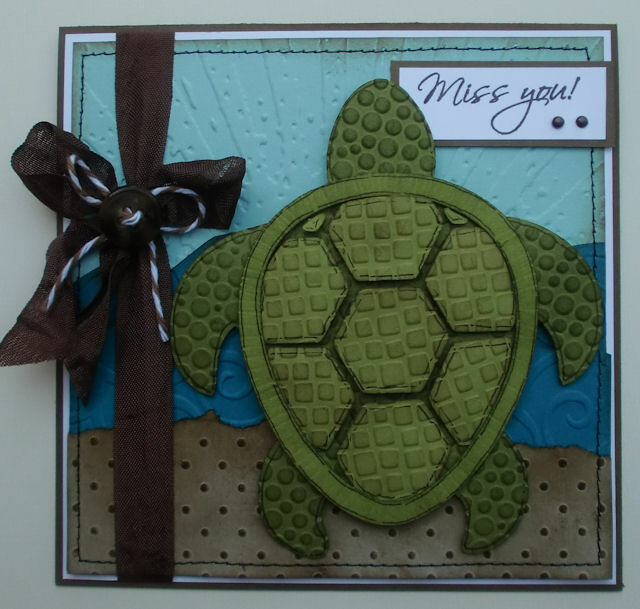 Distress Embossing Ink and Clear Embossing Powder! Congratulations # 38 - Darlene H!